Mike Rumbles claims John Finnie requires ‘badly needed assistance’ to draft the parking proposal. The north MSP behind the parking tax was accused of not having “a clue” about how it will work as parties clashed over the controversial proposal at Holyrood. 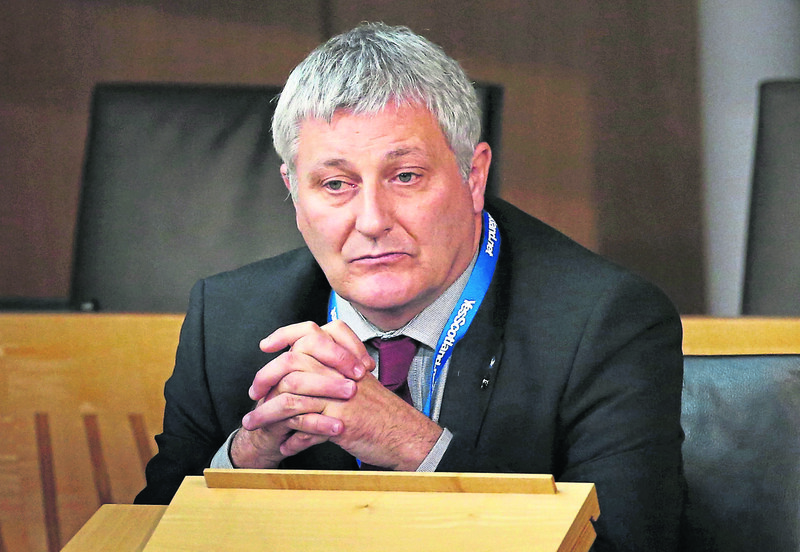 North East MSP Mike Rumbles claimed Green MSP John Finnie, the architect of the proposal, “hasn’t a clue how he wants it to operate” as the issue dominated First Minister’s Questions. The claim was made as the Tories said the new levy would increase the basic rate of tax paid by a worker on the real living wage from 20p in the pound, up to 30p. Mr Rumbles raised his concerns about the levy with Deputy First Minister John Swinney, who was standing in for Nicola Sturgeon who is on a trip to the USA. The Lib Dem MSP asked if the Scottish Government would give some “badly needed assistance” to Mr Finnie to help him draft his workplace parking proposal. Mr Finnie has said he will produce an amendment to the Transport (Scotland) Bill to create the charge which gained Scottish Government support in Finance Secretary Derek Mackay’s Scottish budget. 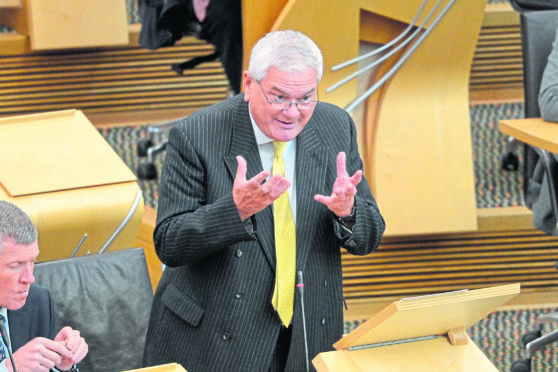 Former SNP MSP John Finnie..
Mr Rumbles was referring to recent comments made by Highlands and islands MSP Mr Finnie on exemptions for the scheme in England when he claimed it was “obvious that he does not have a clue how he wants it to operate”. Earlier this week there had also been concern expressed about the lack of parliamentary time to scrutinise Mr Finnie’s proposal. Mr Swinney said Mr Finnie had asked Holyrood’s rural economy committee to take evidence on the issue and the committee had agreed to do so. The deputy first minister added that the government would be “actively engaged” in drafting the amendment. In response, Mr Finnie said it was important to have “informed comment” rather than “speculation”. The Scottish Government yesterday confirmed that the Transport Bill would be delayed in order to give Holyrood time to process Brexit. Meanwhile Jackson Carlaw, the Tory caretaker leader, claimed workers face being “thumped” by plans to allow councils across Scotland to introduce the tax. Mr Carlaw said an annual charge of £400 a year for this would be the equivalent of hiking the basic rate of income tax from 20p to 30p for those earning the real living wage. He claimed that “tens of thousands of Scottish workers are to be fleeced for hundreds of pounds a year” if the measure is introduced. But Mr Swinney insisted it would be up to local authorities whether they wanted to apply the levy.